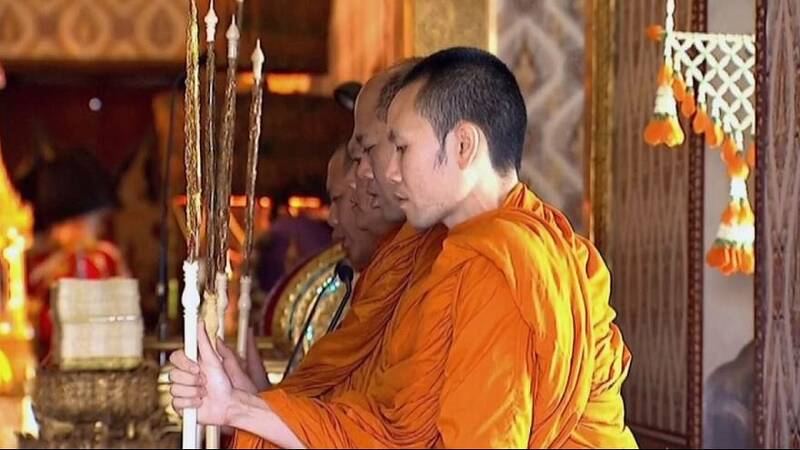 Thailand on Sunday capped a yearlong mourning period for its late King Bhumibol with a religious ceremony at the Royal Palace in Bangkok led by his son and heir, King Vajiralongkorn, and broadcast nationwide. King Bhumibol died last year aged 88. He was revered by many as a father figure. He was cremated on Thursday, on what was declared a national holiday. Tens of thousands of mourners flocked to watch the ceremony in Bangkok’s royal quarter. His relics were taken to Chakri Maha Prasad Throne Hall, where he used to host dinners and receptions. There, the golden urn of the King, known as Rama IX, joined the relics of his predecessors. In the final act of the funeral ceremony, the king’s ashes were transferred from the Temple of the Emerald Buddha to two royal temples.